The following is a guest post about BoostUp. If interested in submitting a guest post please read my guest post policy and then contact me. Saving money is an important practice. Almost everyone can agree with that, but few of us actually do it as much as we should. The fact of the matter is plain and simple; life is expensive and sometimes we all just need a boost. BoostUp is a social savings platform that allows users to create accounts to save, crowd fund, and instantly double their savings with top brand BOOSTS (dollar-for-dollar monetary matches or incentives) to reach their financial goals for some of life’s biggest purchases – a car, home, wedding, or trip. Its purpose is to provide an easy, fun, and rewarding way to save money, something that has never really been done before. Users are able to create a free account with their email address, Facebook account or Google+ account. Then are asked to fill in some general information about themselves followed by setting their savings goal. Once a user’s account has been set up they can track their goal on their Dashboard. The Dashboard not only displays the user’s progress – but it is also where a user will be able to edit their account, edit the terms of their goal, add to their goal, access the social sharing tools with their public profile link, and see all available BOOSTS to add to their goal. 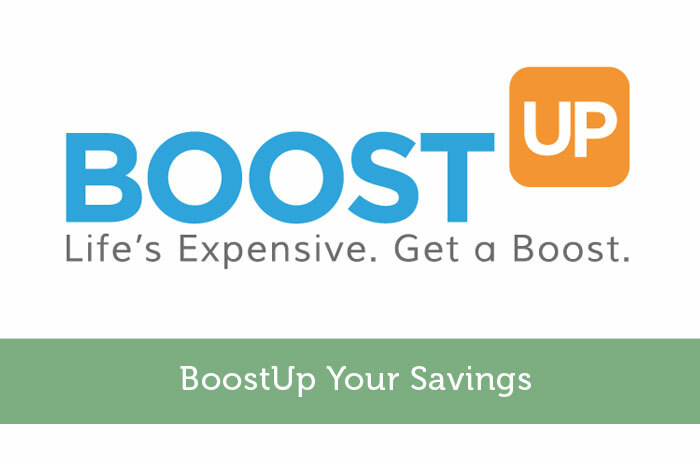 BoostUp provides a creative way to emphasize the importance of saving and saving early for life’s biggest purchases. They truly embody their motto of Life’s Expensive. Get a Boost. I think that anything that encourages people to start saving money is a good thing. I never heard of Boost before reading this and it sounds interesting. I’m going to have to look more into it. Can we get an example of what a partner boost might be? Neither this article nor the Boostup website provides instructions for how to move Boostup funds to a car dealer, other bank, etc. No phone number or email support address can be easily found on the Boostup website. If you do find the phone number you will find out the hard way that no one answers. Likewise if you find the email support address you will find no one responds for days.